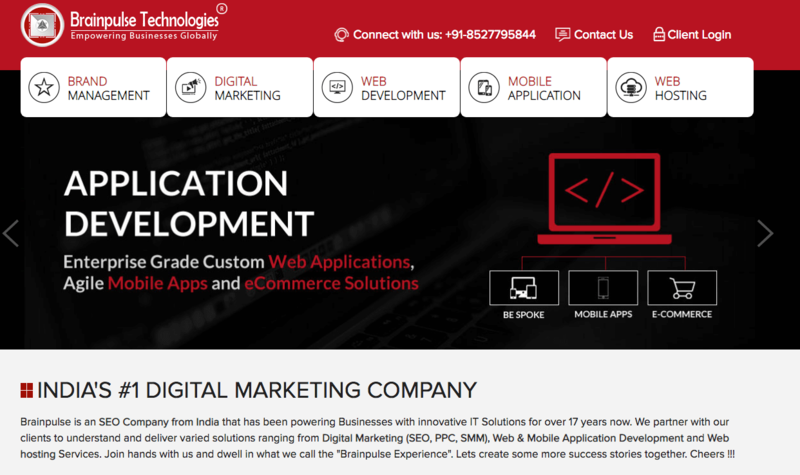 Founded in 1999 in India, BrainPulse is a digital marketing company that, among other services, provides social media promotional services. They offer promotional services for Twitter, YouTube, Facebook, Instagram, LinkedIn, and other social networks. They are most known for providing targeted YouTube views. 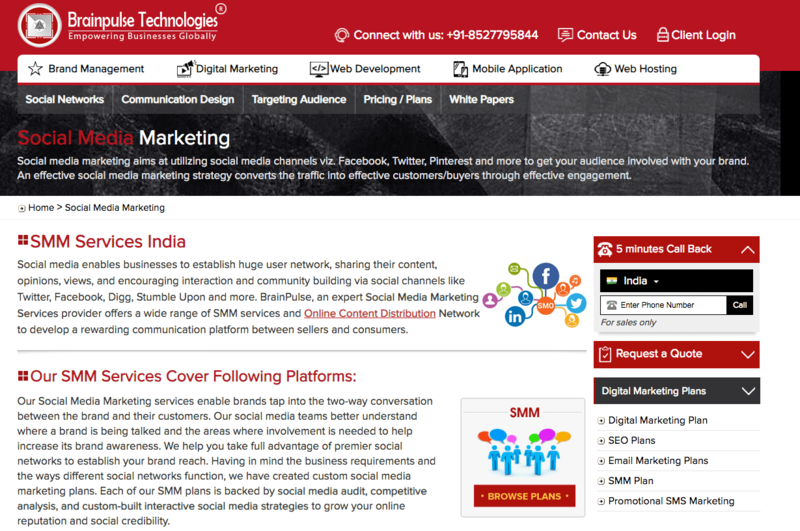 Their website has been designed to allow visitors to browse swiftly and easily around their services. The ordering process is easy as users are only required to choose a plan, create a custom campaign if they choose, and start receiving the views. BrainPulse accepts payments through credit/debit cards, wire transfer, money bookers, and via domestic bank payments. 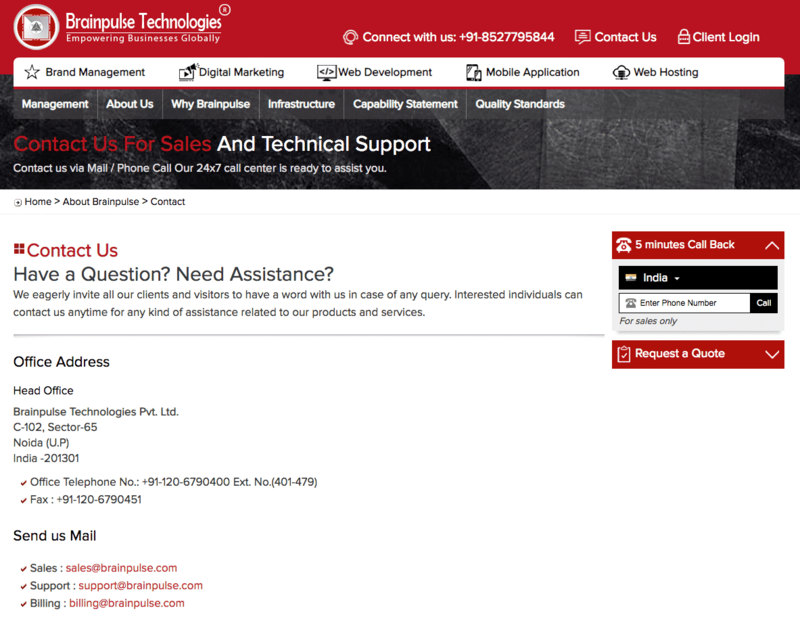 Their customer support team can be reached in several ways - through live chat, email, phone +910852779844, Skype, Google Talk Chat, and MSN Chat. They have a 30-day refund policy which differs for each service. They claim that they offer a full money-back guarantee if they fail to deliver the order, but they don’t offer refunds once the order is completed and the product is sent. They also don't have a retention warranty or a satisfaction policy. We liked how BrainPulse thoroughly described the nature of their services, making it easy for their potential clients to make a well-informed decision. We also liked the fact that they have geo-targeted, high-retention, and organic YouTube views. Another plus was the fact that they offer one of the most varied customer support teams we have ever seen. The fact that they don’t offer a retention guarantee makes it hard for us to be totally confident in the credibility of their services. Nevertheless, that doesn’t mean that they don’t provide quality services. What did you think of BrainPulse? Share your thoughts with us by writing a review below.